Once a month, the City Library offers a free musical activity for children aged 5 plus. Once Upon a Tune, is an interactive, musical adventure for primary school children and those young at heart. 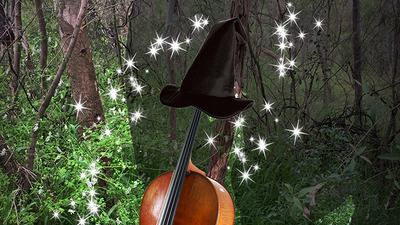 Discover your inner magical and musical powers, and help save the forest from the evil giant. Featuring live music by Beethoven, Brahms, and Australian composers Schultz and Gould. Once Upon a Tune is made possible by the support of the City of Melbourne arts grant. Sessions are completely free of charge and run from 10:30am for 45 minutes, once a month, on a Saturday. Note: There is also a special session running on Tuesday 11 April for the school holidays. Bookings are essential, go to www.melbourne.vic.gov.au for more information and to reserve your spot.